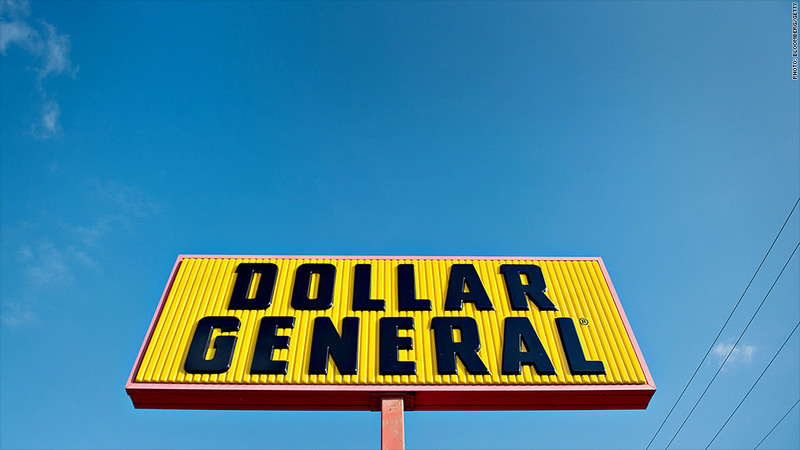 Dollar General reported earnings today and reaffirmed its interest in buying rival budget-retailer Family Dollar. Dollar General says it hasn't given up on the idea of buying Family Dollar. While announcing second-quarter earnings Wednesday, Dollar General's (DG) CEO reiterated his intentions. "The financial benefits of our offer to Family Dollar shareholders is indisputable, and the proposed combination would unlock tremendous value for Dollar General shareholders," said Rick Dreiling in a statement. "We continue to believe the potential antitrust issues are manageable and that our transaction as proposed is both superior and achievable." Family Dollar (FDO) last week rejected Dollar General's near $10 billion offer, deciding instead to stick with an $8.5 billion bid from Dollar Tree (DLTR). One of the reasons Family Dollar cited for rejecting Dollar General's offer were antritrust concerns about getting the deal done. Combined, Family Dollar and Dollar Tree would have more than 13,000 stores and annual revenue of $18 billion. That would surpass the current leader in the dollar-store sector, Dollar General, which has more than 11,000 stores and revenue of $17.5 billion. Dollar General's second-quarter earnings met analysts' expectations, rising to 83 cents a share from 75 cents a year earlier. But revenue was lighter than expected at $4.72 billion. Dollar General said its most significant growth was related to tobacco products, perishables, and candy and snacks.